Working with people around the world to develop and advance collaborative approaches and practical solutions to global poverty challenges. Creating, sharing, and using collaborative research practices, actionable findings, and practical solutions. Hands-on, project-based learning. More than 15 MIT D-Lab courses offered each year! Working with diverse partners to advance and apply inclusive innovation as a methodology for tackling poverty. "Impact is not just the product of innovation – it's the process of innovation." 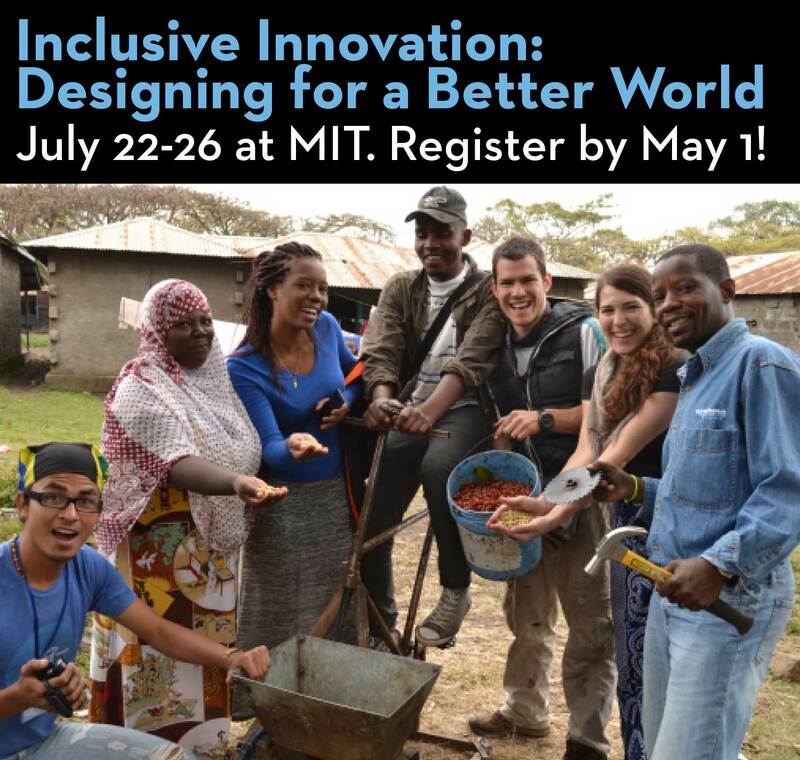 Professional Education Course from MIT D-Lab! Taught by Amy Smith, Maria Yang, and all-star cast of D-Lab instructors. Register!